GDS Industries Ltd is situated in Te Puke, Bay of Plenty. Our workshop is in the heart of the Kiwifruit capital of the world and caters to a wide range of clients from the large export orientated packhouses to the small lifestyle block owner. 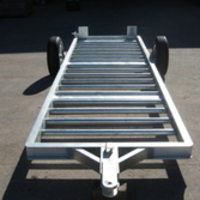 We believe we offer the best Kiwifruit Bin Trailer on the market today. Tested and proven for over 15 years! Our staff are a small group of dedicated tradesman who strive for perfection in every build they do.